Believed to be a rebirth of Sati, daughter of Daksha and wife of Lord Shiva, maa Shailputri is also known as Parvati or Hemavati. In her name- ‘Shail’ means mountains and ‘Putri’ means daughter. She incarnates as the daughter of Himalaya in this particular birth of hers and later becomes a consort of Lord Shiva. She also signifies Shakti in its most raw form and is closely related to Shiva. She is regarded as the first phase of Durga and is thus worshipped on the first day of the Navratris. Her head is beautifully adorned by a halfmoon, she rides a nandi and carries a sphere. 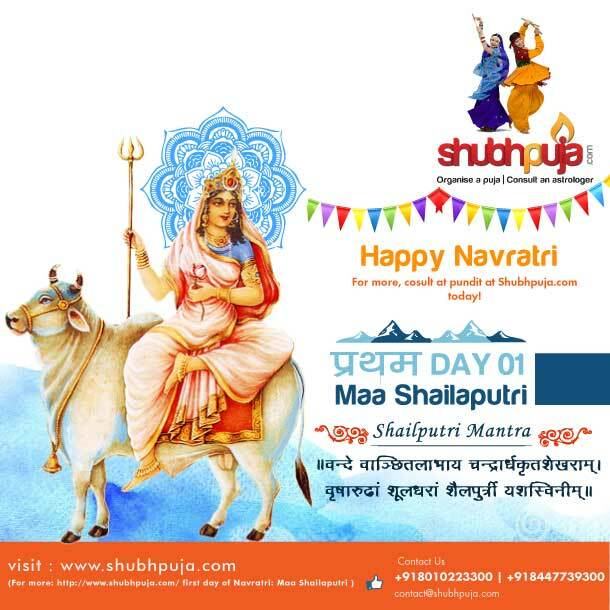 On the first day of Navratri, devotees place enters in Moolchakra and worship Goddess Shailputri to establish dedication keeping Mooladhar in mind, and commence Durga pooja auspiciously.With Shubhpuja.com, you have experts to rely on and trust them to help you do away with all your problems as well even on a general spiritual level, we connect you to Maa Shailputri in the most profound ways. Be in the context of getting Maata’s blessings and guidance or just her energies and aura. Which means: May the illustrious Shailputri Durga whom I salute and whose head is adorned by a halfmoon, who rides nandi, a bull and carries a spear fulfill the desires of my heart. She is known as 1st phase of Durga when she took birth as the daughter of Great Himalayas. For more, cosult at pundit at Shubhpuja.com today! This entry was posted in Consultants and tagged blessings, durga, Hindu, jaimatadi, Mantra, navdurga, navratri, puja, rituals, shailputri maa, Shubh, shubhpuja, spiritual. Shubh & Puja on their first adventure.. So just when I thought my life was spinning on a thin rope with all these Holi preparations at hand and no one to help me with those little details, Puja comes dashing to my home and sits up straight on my bedside. Upon asking her what the matter is she gives a bored expression and says it’s just the usual. Now don’t take me wrong, I really like her, but she is a considerably difficult woman. After what seemed like years of persuasion, she finally gave in and admitted about her another argument with Shubh! I fail to understand how these people can end up arguing so much. Both have similar set of interests, have stayed friends for as long as I have known and are amazing in their own ways. Putting aside all my work I sat beside her and she finally started talking. Apparently Shubh-Puja’s new client was the matter of concern. 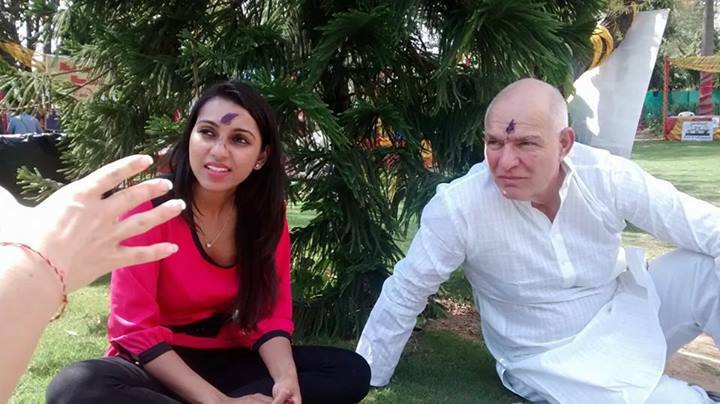 They wanted their international clients to have a perfect holi, but somehow just failed to come to a consensus over how to go about it. Both of them had some great ideas but mostly absurd and a little too over the top. After listening to what felt like an eternity, I called in Shubh and ask his take. Being the cool guy here, he just said that his concern is the happiness of the customer, nothing else really bothers him. That was not so much the case though; he was just trying to end the fight by being polite. I realized and pitched it. After a big brainstorming session, Shubh wanted a great gift box filled with amazing colors, sweets and something of a personalized and customized touch, while Puja was more concerned about the Holika Pujan and the legacy of the festival to come out well. The best idea was to combine them and so we did. An amazing hand-picked Gift box was created with awesome organic colors, ravishing Gujiyas and a mobile havan kund and to celebrate the legacy of the festival it had a card stating all versions of the history behind the festival. All of this was beautifully packed in a re-usable sequin box and I already wanted to buy it. This was no ordinary box; it was totally personalized with the best spirit of the festival itself. From the mythological history of the festival to the little specifications that we forget, like the havan, this hamper has got it all. Beautifully customized, hand-made and filled with the sweetness, the flavors and just about everything you need for the festival of colors! As far as the Holika-pujan is concerned, well that got even grander. It is well known and acknowledged that Holi Puja is essential in all ways. Various Indian cultures consider it to be integral in the form of long-life of the husband and a prosperous married life. Not only this, the left over ashes from the dahan if collected by people on the next day constitutes of the actual holi-prasad and smearing it on limbs of the body purifies and heals them. So that was certainly taken care of. 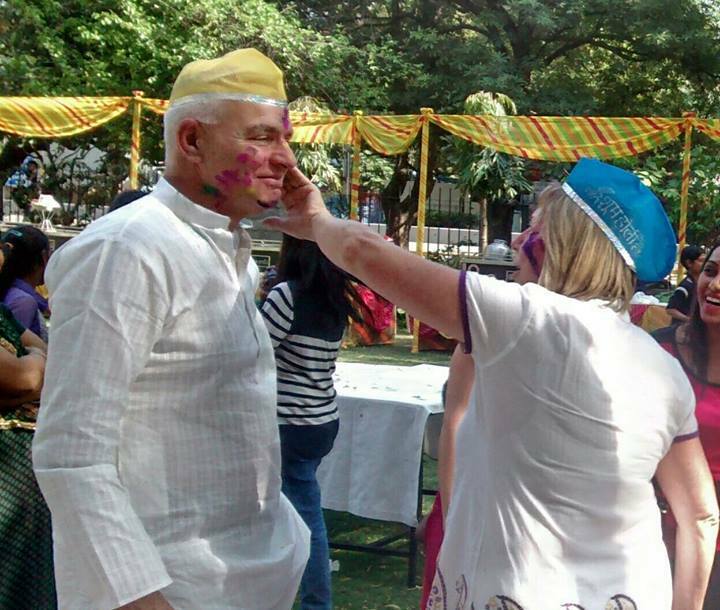 In fact a qualified Hindu Pandit was taken along for the clients to get the whole idea in the most authenticated manner in order to ensure all of this amazing purification and ultimate prosperity to quite literally filling of colors in one’s life this Holi! 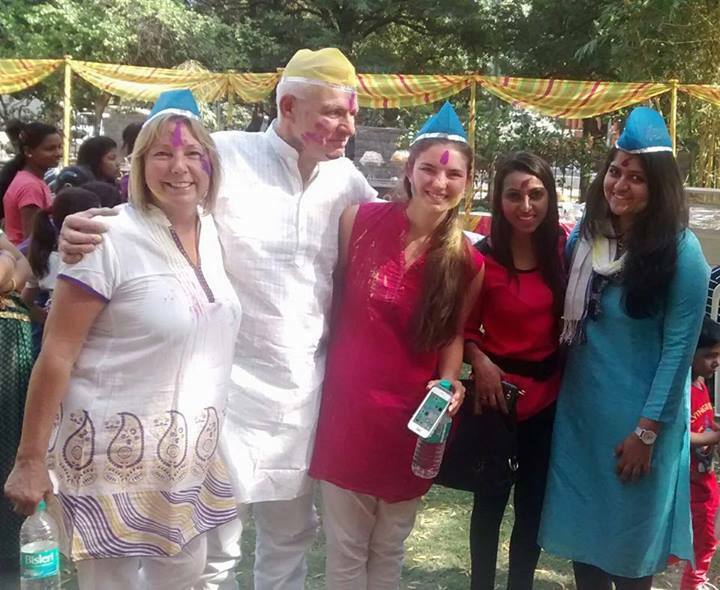 Bottom line- Holi-day venture was all about taking around international clients to embrace them with a holistic experience of the rich heritage and value system of the Indian Culture. 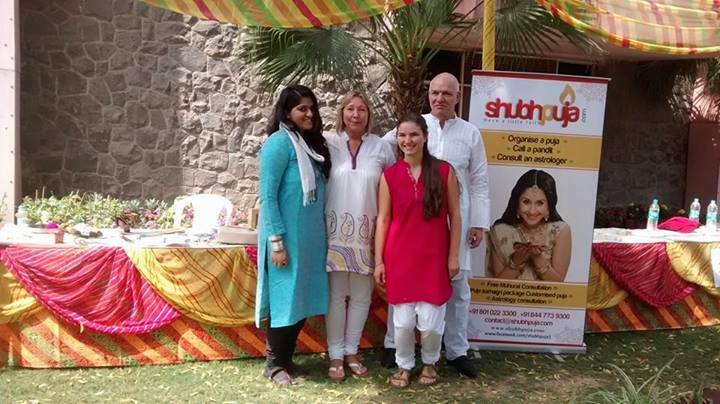 Shubh-Puja were able to put their message of Holi across in the most profound and amazing manner with a home like feel, or so was what the testimonial said. A little twisting and turning of their own ideas gave them a fantastic Holi-day adventure. 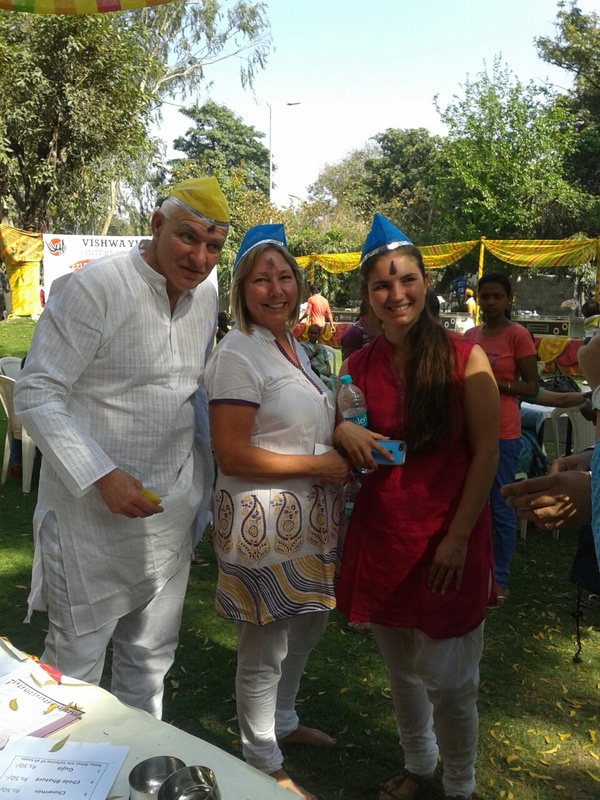 The most amazing part was when the story was narrated to a client of the American origin; she was touched and suggested this awesome idea of having Holi-sessions in her country as well. The idea of eradication of all sorts of discriminations on this day by putting on colors on one and all around us and at the end sharing similar hues fancied her so much that she suggested it would be an even ideal way to get over racial discrimination all over the world too. Needless to say the idea was so noble and enthralling and also left us all wondering how when too cultures meet world denouncing issues can be drawn conclusions upon! While we all are still struggling with our own petty issues there are much bigger problems that can get conclusions in a way much simpler than we might ever imagine. Yes this experience was that philosophically enlightening.Needless to say, I have become a regular (and discounted) customer since then, who at times plays the role of a counselor too (kidding). 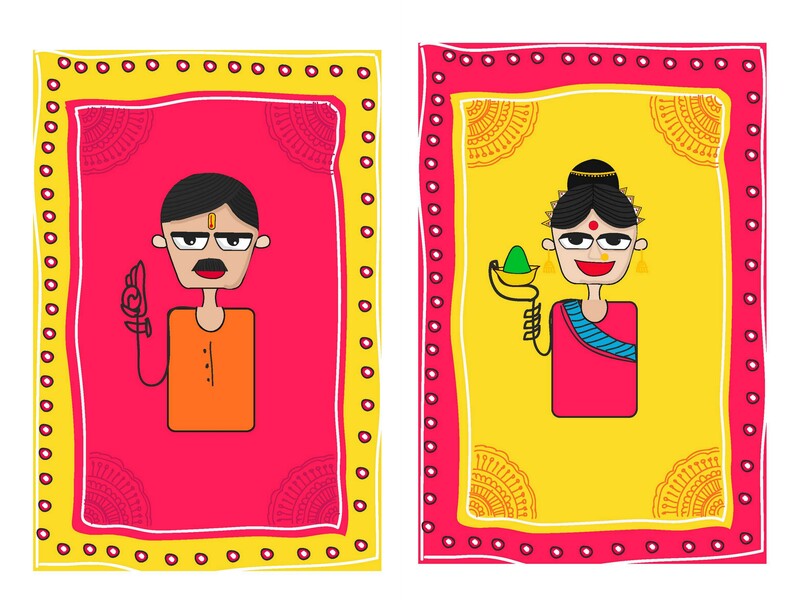 Oh, by the way, are you checking out what is happening at www.shubhpuja.com? Well, if I was you, I wouldn’t miss any of it. After all, if not anything else, these amazing people are doing an amazing job at bringing your culture and ultimately God back to you! So hurry up and find out. I swear they write amazing blogs, Facebook and Twitter too! Try “shubhpuj1” as the direct link maybe. Don’t forget to feedback! This entry was posted in Consultants and tagged american, awesome, Blog, boy, Colors, consultation, divine, Festival, girl, gossip, Holi, international, puja, Shubh, shubhpuja, story. Fun-Filled Holi Weekender at VYK Holi Festival! 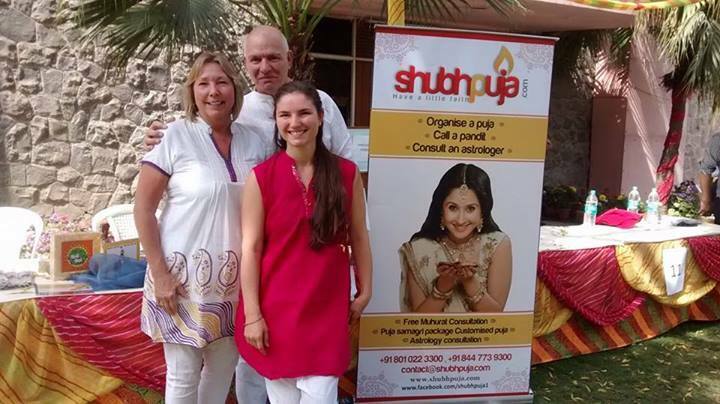 Shubhpuja, venturing in new grounds, has entered the market with a new concept of taking around international clients to embrace them with a holistic experience of the rich heritage and value system of the Indian Culture. 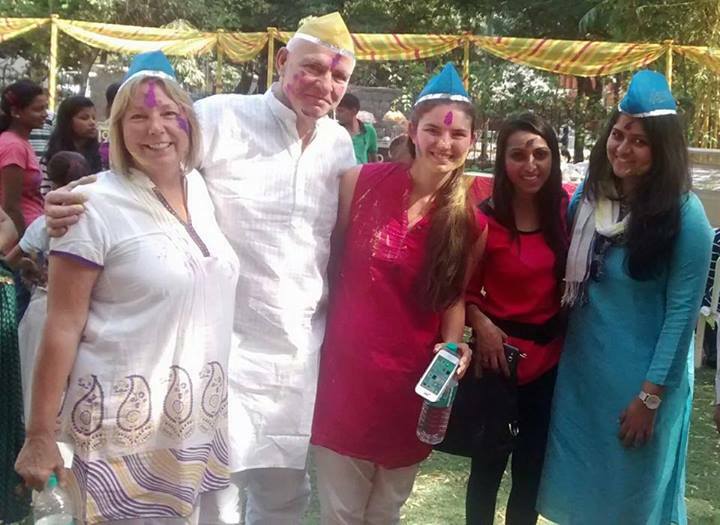 We celebrated Holi at the Vishwa Yuva Kendra Holi Festival with our amazing clients Christopher, Gabriel, Jamie, Tanya and Vikas during the same! 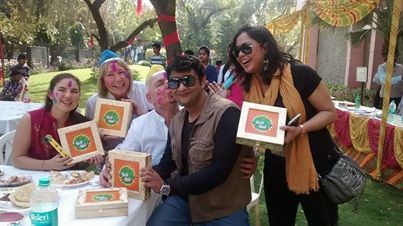 Taking them through the whole experience of the festival, filling in with the mythological and religious tales that Holi is celebrated for, gifting them the amazing Shubhpuja holi Gift box (which was totally perfect a token of our hospitality and the spirit of the festival) and a lot more! This entry was posted in Consultants and tagged american, awesome, bright, colorful holi, Colors, Festival, fun, Hindu, Holi, holi gift, Indian, international, puja, Shubh, shubhpuja, special, weekend, weekender. Primarily observed in India or people of Indian origin, Holi- the festival colors and love is a widely celebrated spring festival. The festival, in recent times, has spread in parts of Europe and North America as a spring celebration of love, frolic and colors. It is an ancient Hindu religious festival which has now become popular with non-Hindus in many parts of South Asia, as well as people of other communities. Dulhendi morning is a carnival of colors, where everyone plays, chases and colors each other with dry powder and colored water, with some carrying water guns and colored water-filled balloons. Today it doesn’t matter who you are a friend or a stranger, rich or poor, man or woman, children and elders, all are equal parties. 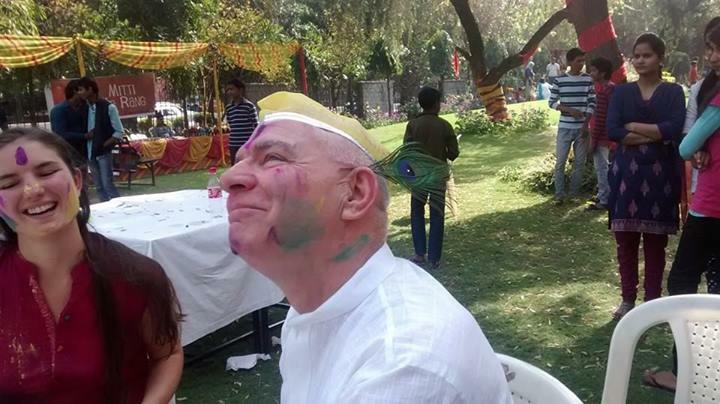 The frolic and fight with colors occurs in the open streets, open parks, outside temples and buildings. Celebrations, however, start with a Holika Pujan on the night before Holi where people gather, sing and dance. This puja is a very significant part of the whole festival. Although it is usually associated with the bon-fire or th Holika dahan in the late pre-evening of Holi, it starts way before. It was believed that Lord Vishnu killed Hirankashyap’s brother. To take revenge from Lord Vishnu, Hirankashyap asked his sister, Holika, to help him kill his own son, Prahalad, who was Vishnu’s disciple. Holika tried to burn Prahalad but in the process ended up being burnt in fire herself. On this occasion, we burn holika and it signifies marking an end to all the evil thoughts and getting rid of all the sins. Thus, at this time, if you ask for any good things while mother holika is burning then they will come true. In the villages of India, the dahan preparations start from about 40 days before the festival. These preparations involve collecting of woods and even the samagri and setting it up at important crossroads. Cities, however, now do not face such problems these days. 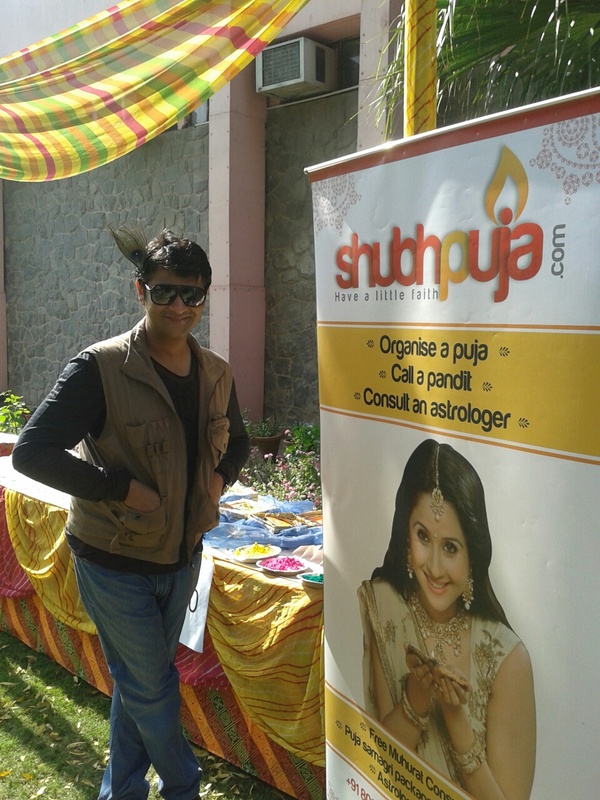 With companies like Shubhpuja.com to do the essential chores varying from arrangement of the pundit to performing the most step-by-step and authenticated puja, little worries are left. People extend the log centre with twigs, dried leaves, branches of trees and other combustible material. 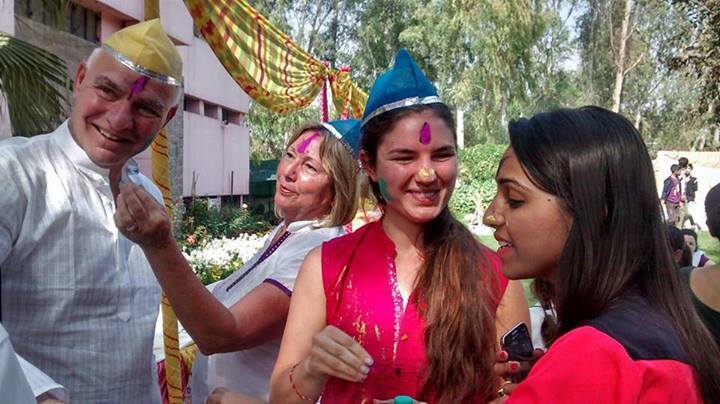 Holi Puja is essential for married women in many ways. Various Indian cultures even consider it to be integral in the form of long-life of the husband and a prosperous married life. Not only this, the left over ashes from the dahan if collected by people on the next day constitutes of the actual holi-prasad and smearing it on limbs of the body purifies and heals them. 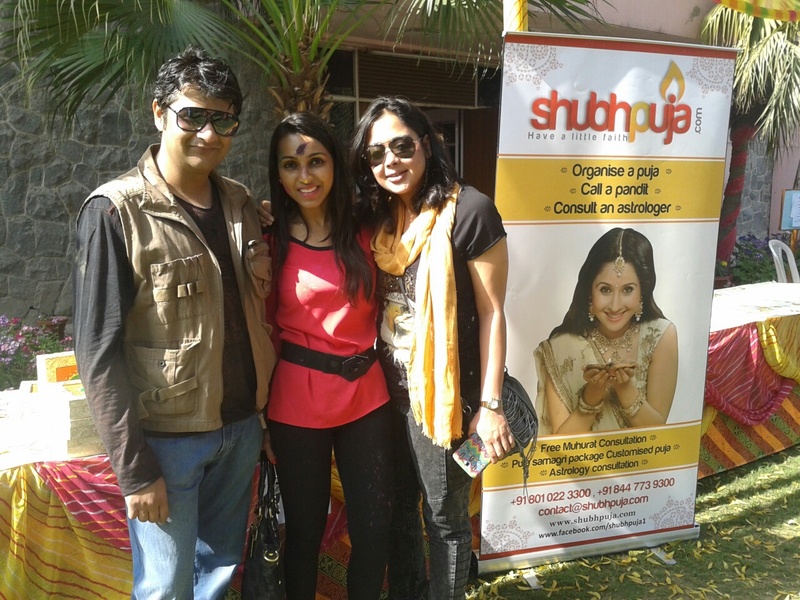 http://www.shubhpuja.com believes that all of this amazing purification and ultimate prosperity which comes with quite literally filling of colors in one’s life is what the festival of Holi is all about! Thus, we enable you live it a little more vivaciously. We send you a qualified pandit trained in Hindu Shastras to conduct puja at Devotees preferred location (home, office etc.) and time (or muhurat time suggested by Shubhpuja) and ensure that Mother Holika grants her blessings during this puja to help you get rid of all your problems and pain, fulfill your wishes and achieve wealth, prosperity and money. This entry was posted in Consultants and tagged awesome, blessings, Carnival, Colors, consultations, Festival, frolic, Hindu, holi gifts, Holika, holika dahan, puja, pujan, Shubh, shubhpuja, wow. Gifts for the season of Colors! With the festival of colors- Holi just around the corner if you too like many others are wondering what to buy and gift your loved ones here’re some tips that will come handy. A gift on Holi should obviously be all about colors, portraying the true spirit of the festival. The selection can vary depending on the person the gift is intended for and the kind of relationship you share. Where some things like Sweets and Gujiya, Chocolates and Holi colors pack deems fitting for the occasion, they all are worn out and over-used gifts. Some people may also go for apparel, idols, dry fruits and decorating items the motive of a gift for “holi” somehow gets lost in these. Where your budget is an important factor while deciding the gift, sometimes the price isn’t as important as is the sweet possession of an amazing gift. Creatively packed gifts also make for a treat. While hand-made gifts are always sweet and precious in the lack of time in this fast paced world they’re an impossible task. However, there sure are many gift hampers for those who like a little of all the ideal gifts for Holi and a personal touch that comes with it. 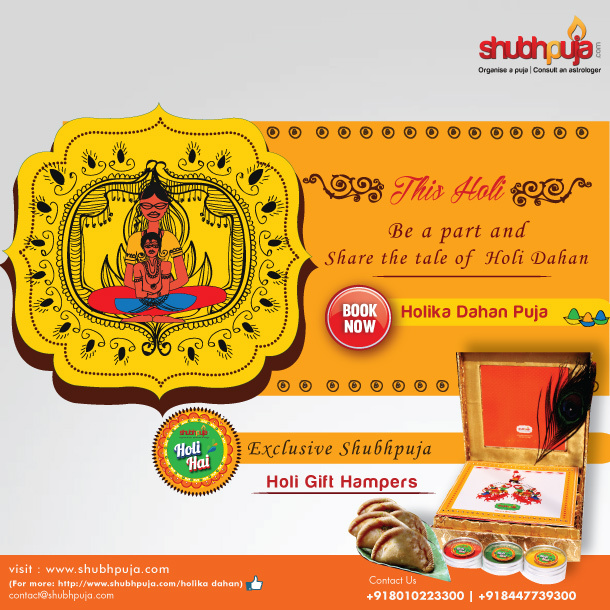 Like the hamper Shubhpuja.com is offering. All of these are hand-picked, premium quality products bought for the convenience of the consumer more than any other motive and are just available at rupees 1399! Buy it today and share the festivities and love! This entry was posted in Products and tagged awesome, beautiful, Box, Colors, customized gifts, Festival, festive, festivity, Gift, hand made gift, Holi, holi gift, love, puja, Season, Shubh, shubhpuja. This entry was posted in Consultants and tagged astrology, Business development, Operations, palmistry, puja organisation, Sales, shubhpuja.